Apple’s 3D Touch technology is considered one of the best features of the iPhone 6s and 6s Plus. Similar pressure-sensitive capabilities were rumored to be coming to other smartphones, including Samsung’s S7/S7 Edge, yet they're still exclusive to Apple’s two devices. But a new piece of software could change this. 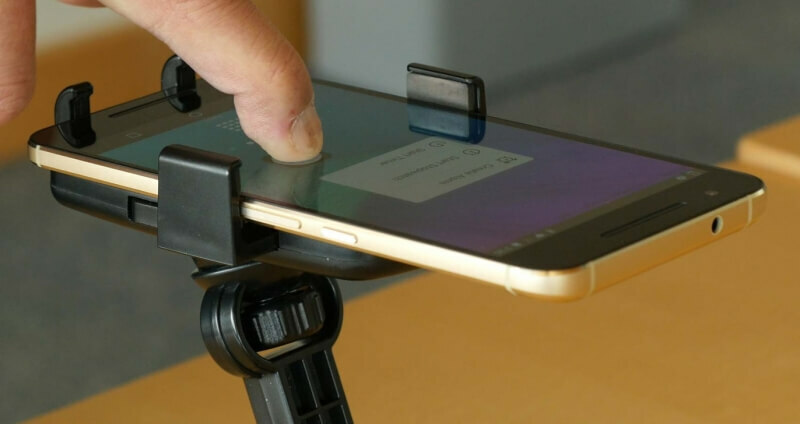 Developed by a team of engineers from the University of Michigan, the ForcePhone app uses a device’s microphone and speakers to imitate 3D Touch, rather than requiring new sensors or hardware upgrades. The software will cause a phone to emit a sound between the 18-24 kHz range – inaudible to the human ear but still able to be picked up by a device’s microphone. Pressing on the screen or squeezing the phone will cause the pitch to change; the harder the press, the larger the shift in pitch. The microphone detects this change, and the software translates the force into commands. The sound the phone produces is played at a very low volume, so it shouldn’t bother any nearby dogs. And while the software is mimicking 3D Touch, the fact that it also works by squeezing the phone gives it an advantage over Apple’s feature. “Having expensive and bulky sensors installed into smartphones can solve every problem we have solved, but the added cost and laborious installation prevent phone manufacturers from doing it. Our sound-based solution can fill this gap, providing the functionality without making any hardware modification. Everything is just software,” University of Michigan doctoral student Yu-Chih Tung said in a statement. The idea for ForcePhone came from a surprising source: the 2008 Batman movie ‘The Dark Knight.’ The scene where Batman turns all the city’s smartphones into sonar locators to track the Joker became the inspiration for the software. "I thought it was an interesting idea to turn smartphones into a sonar-based system and felt this could lead to new applications to address challenges faced by smartphone users," Tung said. ForcePhone isn’t ready for public release just yet, but there will be a demo at next month’s MobiSys in Singapore.